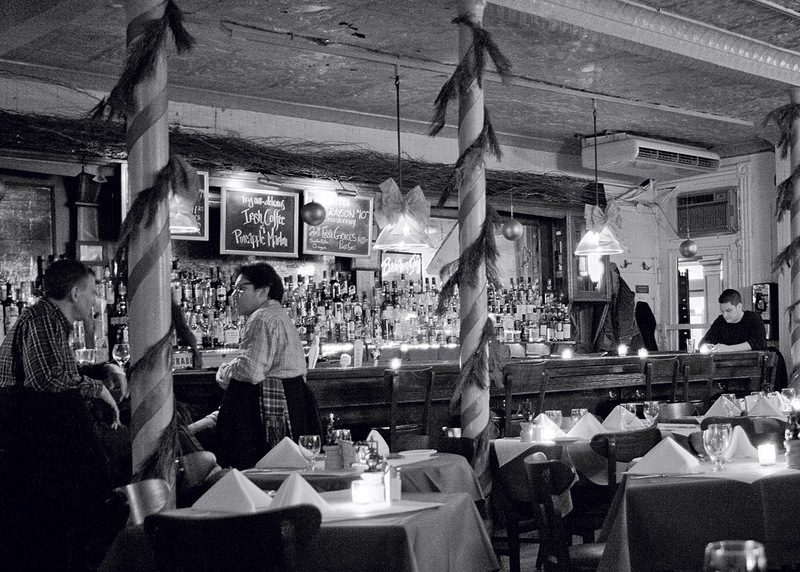 Let’s get it straight: the Bridge Café is the oldest surviving bar in New York City. Once it was a brothel, then a speakeasy, then a tavern, now it is a classy and very enjoyable restaurant and bar. The bar is located in a woody building erected in 1794 with a splendid view on the Brooklyn Bridge (actually the building is sort of under the bridge), and is a guarantee of good taste in all the components of a drinking (& eating!) experience: cosy place, with very friendly and “family-feeling” staff , amazing food (including some real very classics…please try the Turkey Sandwich), and perfect drinks. The bar itself must date back to the end of the 19th century, with wonderful smokey mirrors and many interesting bottles. The Martini is good and big: I was there at lunchtime and with one drink was happy the whole afternoon… Classic martini rate: 7.